In 1947, a military balloon, part of Project Mogul, crashed near the small town of Roswell (New Mexico, USA). Because of the cold war, the entire project was shrouded in secrecy and the military reported that it was merely of a conventional weather balloon. The incident hardly got any attention in the media at the time, but in the 1970s a variety of increasingly elaborate conspiracy theories were published claiming that one or more alien spacecraft had crash-landed near Roswell and that extraterrestrial occupants had been recovered by the military who then engaged in a cover-up. These occupants were then supposedly taken to the ultra secret Area 51. This airbase was in reality home to the so-called skunk works, the devolopment and testing of novel aircrafts, such as the U-2, SR-72 Blackbird and the F-117 Blackhawk. The incident near Roswell has become the world's most famous, most exhaustively investigated, and most thoroughly debunked UFO claim. So, why do people continue to believe in the story? Prominent skeptics Joe Nickell and co-author James McGaha identified a myth-making process, which they called the Roswellian Syndrome. In this syndrome a myth is proposed to have five distinct stages of development: Incident, Debunking, Submergence, Mythologizing, and Reemergence and Media Bandwagon Effect. 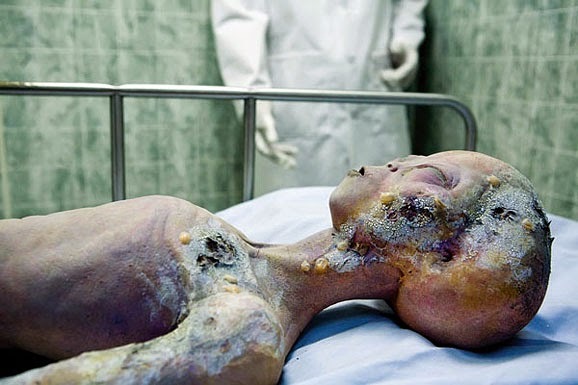 The authors predicted that the Roswellian Syndrome would "play out again and again", in other UFO and conspiracy-theory stories. Another example of the Roswellian Syndrome at work is the infamous Bermuda Triangle hoax. Remember, several writers have earned a great deal of money by writing books about a subject they do not actually believe in. It's simply a money creating subject. Nickell, McGaha: The Roswellian Syndrome: How Some UFO Myths Develop – 2012. See here.